A picture isn’t worth a thousand words if you don’t have the context for interpreting the story behind the picture. And you’re left with 100’s of family photos like I was when my grandfather died aged 98 in 2006. 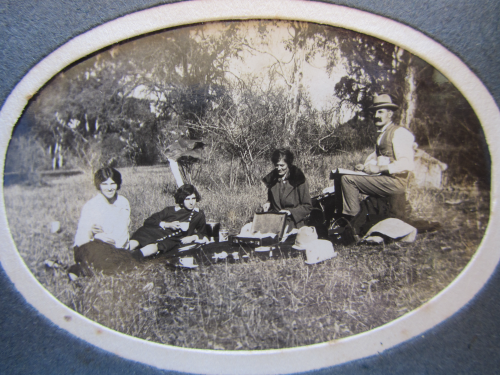 Many were taken in 1920’s, some from late 1800’s and no one’s left that remembers all their stories. Fortunately my grandfather was interested in the family ancestry since the 1930’s which left numerous documents and mementos as breadcrumbs! I’ve embedded a Google photo of the Ockerby ancestry compiled by Rev Thomas Ockerby Hurst (my great-grandfather) in 1939 below so you can zoom in on the information easily. 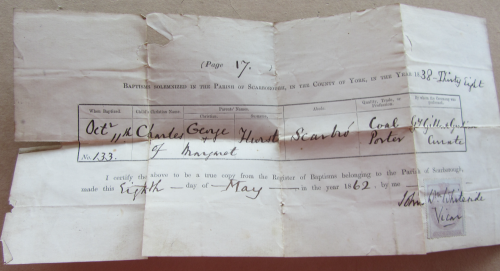 And Hurst ancestry which I believe was compiled by my grandfather Charles Hurst. 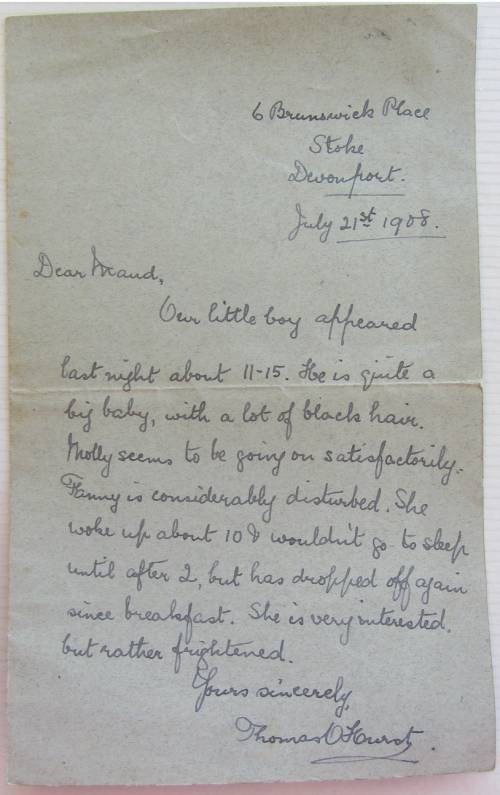 Letter by my great-grandfather from 1908 announcing the birth of my grandfather. I’ve started digitizing the photos to enable my relatives and others who are interested easy access. I’ve also been researching and documenting my ancestry to piece together the stories behind the photos — to bring the stories back to life! You’ll find Hill Family, Day Family and their Bridgetown, Western Australian history documented here. 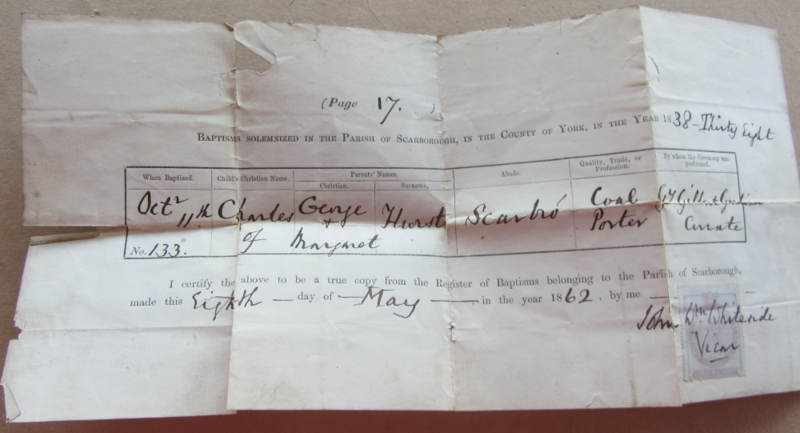 I’m currently working on my Ockerby and Hurst family history. I think I may also be luckier than most? 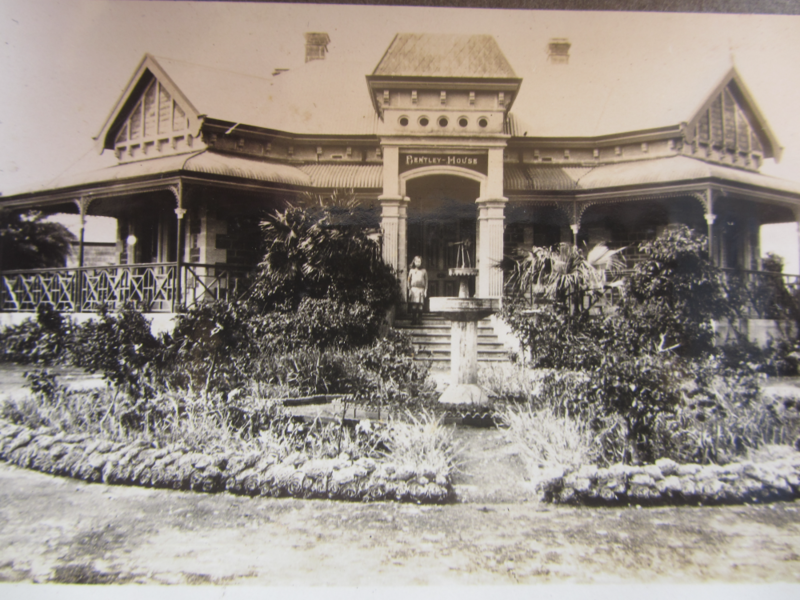 Hill and Day ancestors – notable settlers in Bridgetown and other parts of Western Australia. Ockerby ancestors – notable settlers in Tasmania and some were prominent people in the early 1900’s in Western Australia. Featherstone and Mary Ockerby – Tasmanian Pioneers written by Kathy Wright (2004) – incredible work! Bridgetown the early years. Book two, People of the Warren Blackwood District from 1950’s by Fran Taylor (2015) – includes a Chapter on the Hill family. Bridgetown the early years Book One by Fran Taylor (2014). Doesn’t include the Hill family but provides invaluable insight into what life was like in the late 1890’s and early 1900’s. And my mother, Janne, has been helping me identify as many people as she can while sharing the stories she can remember. Will I be able to identify the story behind each picture? Probably not! But maybe by sharing them all online others will eventually help? Maybe someone will see this photo online and one day tell me if these are Day or Hill relatives? Or someone from South Australia will tell me about Bentley House? Or someone could tell me if this document is really from 1862 and if I should be doing something more to preserve it? The journey, and questions, continues…. This post was written in response to Photos – #EdublogsClub Prompt 4. This is an amazing project that may not be fully appreciated until years from now. I am in the midst of a similar project and you’ve given me some great ideas for organizing and documenting family history. Hi Bob, it’s possible that others won’t necessarily appreciate it but I’m okay with that. I’ve learnt so much about my family history that I wasn’t aware of (most of wasn’t aware of). I think age makes you appreciate the need that unless these stories are documented in a manner that can be easily accessed by others they will be lost. I suggest you check out Sue Wyatt’s work ( http://suewyatt.edublogs.org/ ). She has been researching her family history for a very long time. So much interesting history in one post. As you get answers to some of your questions you might need to start a blog relating just to the family history and the stories about the ancestors. Thanks for including a link to my blog too. Hi Sue, I’m usually pretty good replying to comments. Maybe we discussed on Twitter or GHO? Any way the answer was I have been documenting it all here using Jetpack Portfolio post types as wanted to keep everything in one place. You’ll find links here http://suewaters.com/family-history/ Have lots of notes in Google docs and more photos that still need uploading. Thanks for sharing this. It reflects a lot of work and a rich family history. Can you write an article showing the tools you’ve used to digitize your photos, slides and videos? Are there any easy, low-cost, ways to do this? I’m sure many have boxes full of photos, but dread the effort of digitizing them. Hi Daniel, I’ve kept it simple. Digital camera for most photos. Found not much difference between using my camera vs scanner on printer but scanner more involved and still has the same issue as camera if photos are glossy. Google’s photoscan app for very glossy photos but only when necessary as more time consuming. Older photos are easier to digitize than newer photos as they tended to have matt finish while newer were more likely to be glossy. The earlier color photos tended to deteriorate in quality more than the photos from early 1900. Years ago I has software etc on my computer that enabled me to connect video camera to computer. Not sure what I would do with them. There are apps you can use for converting slides on phones and ipads. Cant remember the one I used. Congratulations on your blog / family history. So sorry about your mum – we all hope to just painlessly go to sleep and not wake, but that’s not what life doles out. Thanks for your two books of Bridgetown History. I can’t imagine the amount of work involved! Time consuming researching one family! We all hope but life can have other plans. Thanks for your thoughts and wishes. She is comfortable.